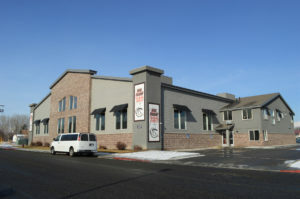 During Lehi City Council meeting January 22, Lehi Mayor Mark Johnson and City Council members questioned Kim Struthers, head of Lehi Development Department, concerning City staff’s proposed new design standards for certain areas of Lehi. “We have overhauled our design standards to go from a ‘one size fits all’ to create independent districts with unique design standards, “said Director Struthers. “We want specific design criteria for each district.” The planning staff has created seven distinct districts: Historic District, Roller Mills District, Urban Village District, Mill Pond District, State Highway District, Urban Tech Mixed Use District and General Non-residential design standards. Mayor Johnson questioned Struthers, “Are we infringing on property owner’s rights? 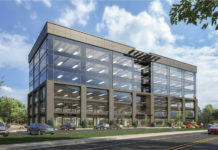 I am concerned about requiring such demanding guidelines.” Johnson used the new office building on Mainstreet and the Karl Malone Center as examples. “Do applicants have a better idea?” said Johnson. 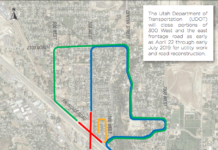 Lorin Powell, Lehi City head engineer, commented, “We need some way to allow for some good ideas. Some may not come to town because of the standards.” He also mentioned the Karl Malone Center concept plan did not come to the City Council for discussion because it met all design requirements and approval was recommended by the Planning Commission. Councilmember Mike Southwick moved to table the ordinance until further discussion could be had. The motion to table the ordinance was unanimously approved. In Lehi City Council pre-council meeting, Marlin Eldred, Lehi City Economic Development Director, presented to the Council an idea to form public/private partnerships to fund projects that benefit both private businesses and the city. A Request for Proposal (RFP) is being sent out to businesses to advertise their business and also build a pedestrian bridge between 2300 N. and Triumph Blvd. “We are charting new territory,” said Eldred. Mark Hampton’s request vacating public streets for a portion of 200 South and for a portion of 1350 East. TMVC Retail request for a plat amendment for the Terrace Retail Center #2 located at 1750 West Traverse Parkway. Gardner Company request for a plat amendment for the Lone Peak North Subdivision located at 3795 North Thanksgiving Way. Paul Feser’s request for a plat amendment for the Lehi Botanical Lot 5 Amended Subdivision located at 1250 West Sandalwood Drive. Ivory Homes request for concept approval for Holbrook Place a 188- unit subdivision located at 2600 North 3600 West in a Planned Community. Subdivision request for Jay’s Place a 26- lot residential development located at 3121 West. Harmony Townhomes subdivision, 157 units on 4.29 acres located at 3900 West Cold Spring Ranch Rd. Council members discussed the annexation of approximately 8.08 acres of property located at 3200 North 300 West with a proposed TH-5 zone. There was public comment regarding this request. Chris Bowerbank, a resident of the area, gave several reasons why the project should be denied. He questioned the wisdom of changing the area general plan to allow higher density. 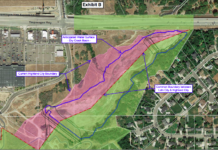 The annexation was approved contingent on concept plan approval. The property currently is the Dixon mink farm, and is zoned very low-density residential (VLDR).